The Cantabrainers Choir is a therapeutic choir for people with neurological conditions such as Parkinson’s disease, Stroke and Multiple Sclerosis. It is run by a Music and Speech Language Therapist. Everyone is welcome if you would like to join, please contact us for more information. 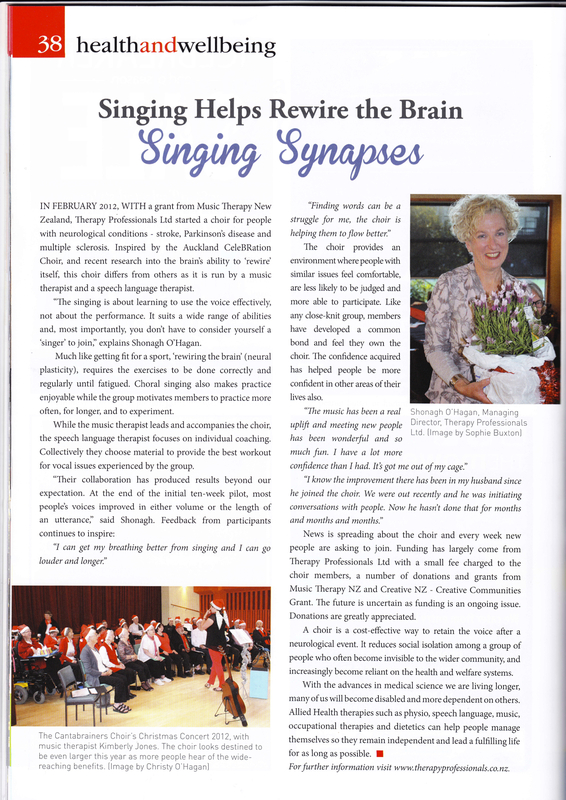 The choir was established by Therapy Professionals Ltd in 2012 and was under the auspices of the New Zealand Brain Research Institute who provide support to apply for funding. 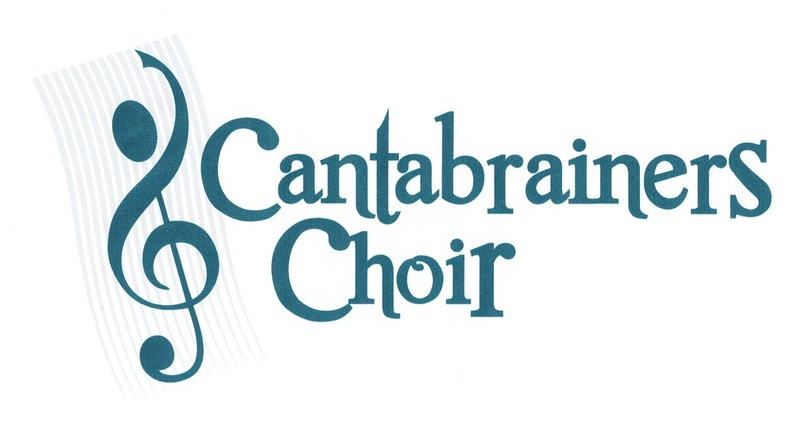 On 1 January 2019 the Cantabrainers Therapeutic Choir Charitable Trust takes over the management of the Choir. They will be starting on 13 February 2019. Do I have to be a singer? The Cantabrainers Choir differs from other choirs as the singing is about learning to use the voice effectively, in a fun way. It is run by a Music Therapist and Speech Language Therapist, in an environment where people with similar issues feel comfortable and less likely to be judged. It suits a wide range of abilities. You don’t have to be a ‘singer’. Songs are chosen, developed and adapted to suit the needs of participants. Call us for a chat if you're not sure whether you or your loved one is suited to the choir. The choir aims to improve and maintain communication through physical activity, social interaction, and emotional development. Education about communication disorders and the role of music in recovery is also provided. We work closely with the CeleBRation Choir in Auckland - the choir who provided inspiration for the establishment of the Cantabrainers. Several other choirs are also being established in New Zealand, please contact our Music Therapist or Speech-Language Therapist for further information. Donations can be made via Clare Murray, C/o 21 Knowles Street, Christchurch 8052 or by internet banking a/c number 38 9020 0041951 00, use your name as reference. ​Cantabrainers CD's are for sale, $10.00 each. Therapy Professionals makes every effort to ensure that the information provided on its web pages is accurate and up-to-date. Website content is subject to regular review and no warranty can be provided regarding the accuracy of it. © Therapy Professionals Ltd 2015. All rights reserved.